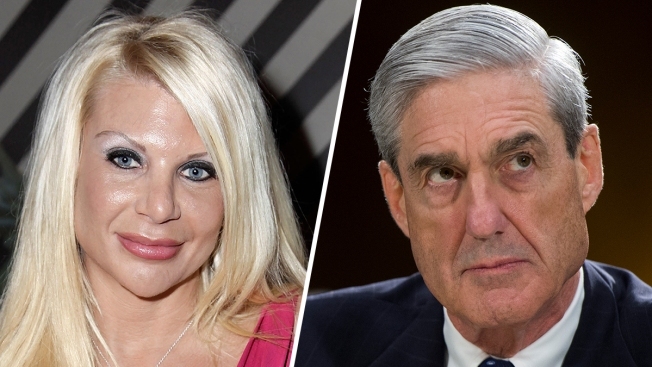 'Manhattan Madam' Kristin Davis, left, and FBI Special Counsel Robert Mueller. The "Manhattan Madam" who said she provided prostitutes to New York's rich and famous, including Gov. Eliot Spitzer, has met with a member of Special Counsel Robert Mueller's team, a source with direct knowledge told NBC News. Kristin Davis, 41, told NBC News in July that someone in Mueller's office called her attorney to ask her to speak to investigators, and that she believed it was because of her ties to former Trump adviser Roger Stone. She could not be reached for comment Friday, nor could her attorney, Michael Rossetti. A spokesman for Mueller's office did not immediately respond to a request for comment. Davis has previously said that she couldn't have worked on Trump's presidential campaign and has no information about it because she was in prison during much of that time.